So you have your shinny new iPad all dressed up with its new sleeve etc., and all you can do is drop it into the cavernous, compared to the iPad, generic backpack or messenger bag you had forgotten around. Brenthaven is here to help. See if the Switch Satchel will scratch your itch. 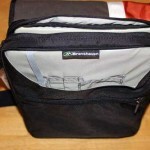 Not unlike its larger sibling, the original Switch, the Switch Satchel is very well made. It features a reversible flap system, a couple of organizer compartments for a few accessories, a backslip pocket for files or a newspaper, and a key lock. For more on the specs of the Switch Satchel, jump to the product page . Additionally, every Switch Satchel includes Brenthaven’s lifetime guarantee and Zero Impact commitment to the environment. 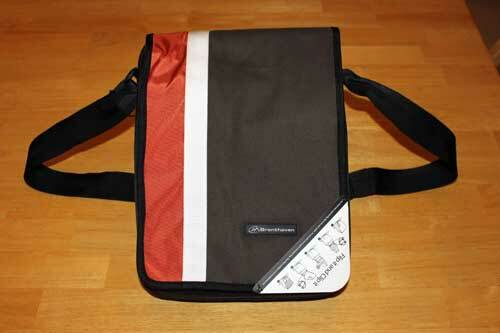 Like the original switch, I found the design of the Switch Satchel to be attractive, lightweight and comfortable. 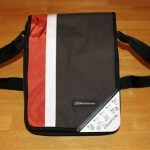 However, I don’t think it is the ideal design style for this size of a bag (more on this later). 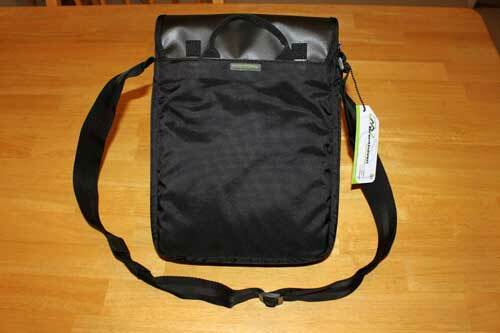 Remembering that this bag was deigned for smaller devices like the iPad and netbooks measuring from 7” – 10.2”, the diminutive nature of the devices held by the bag provides an ideal opportunity to simply sling the bag over one shoulder ala the Brenthaven slings of ol’. Producing this quality of a bag in a sling style, IMO, would allow the bag to ride over the shoulder more sturdily and steadily. 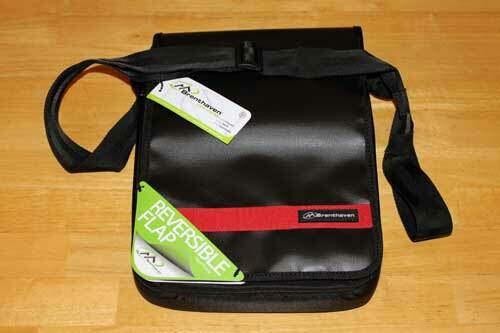 With that being said, if you like the messenger style bag, this would be a great choice. In terms of additional room for accessories, one must remember that this is a small and lightweight bag. Maximum space was not the primary design directive here. 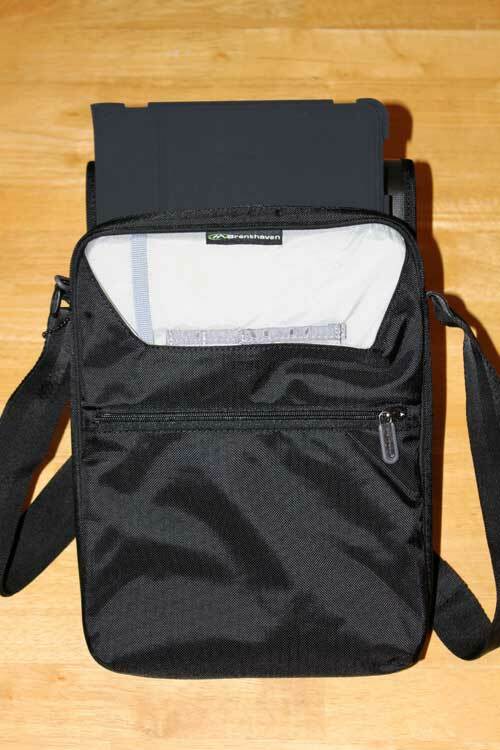 Between the front and secondary compartments, I was able to bring the iPad charger, USB cable, headphones, my wallet, a MiFi, and the MiFi charger. Not a lot, but what I needed. 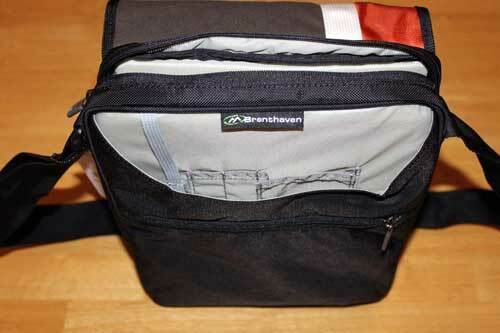 The Brenthaven Switch Satchel is a quality messenger bag for the iPad and netbooks. 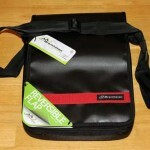 If you are in the market for a quality messenger styled bag for your precious iPad, you will not be disappointed with this bag. 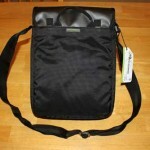 I am awarding the Switch Satchel an above average rating of 7 out of 10 in our MyMac.com Rating System.